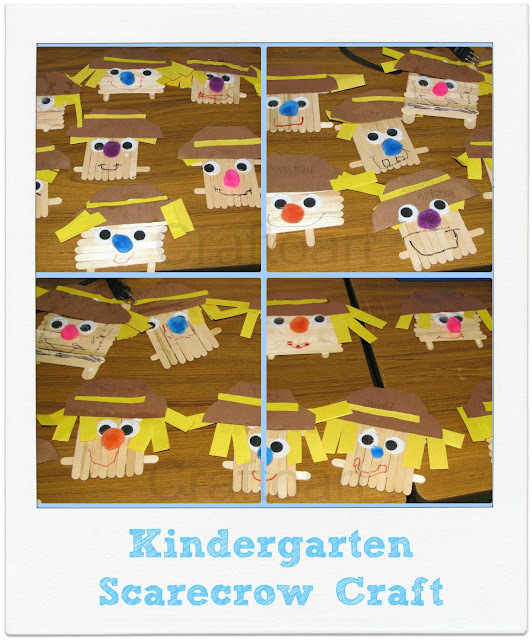 We made craft stick Scarecrow for the kindergarten craft session. The Scarecrow is perfect to hang on the door for the Fall season. 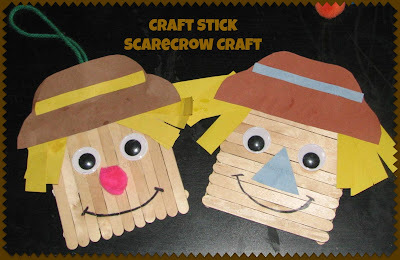 I was inspired by the Scarecrow craft from Little Family fun blog, I made the craft with my twists and turns. Thank you Craftprojectideas.com for the Neon Pom Poms and the Googly eyes. I made the drawings on the brown paper before the craft session for all the kids and let them cut out the template. I pre-cut the yellow construction paper rectangles(Hay) for the Scarecrow Hair. Glue the Hat on top of the craft sticks face. Tape a length of Yarn or Ribbon to the back of the scarecrow so you can hang it on the Door or as a Fall Decor! 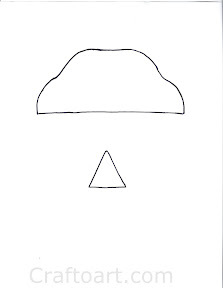 What do you like Pom pom nose or the triangle nose? What an adorable idea! They all look so cute laying out on the table. I love the little bright pom-pom noses! I like the Pom Pom noses too Rachel! This a so cute! The book looks really cute! Thank you for sharing it on Read.Explore.Learn. I am going to share it on the Facebook page tonight. Oh super cute! I think my boys would really enjoying making some scarecrows this weekend. This is very cute. I just wanted to let you know that I have a kids activities submission site (Simply Creative Kids) and I am linking to this post if you don't mind. You are welcome to submit your projects if you'd like.